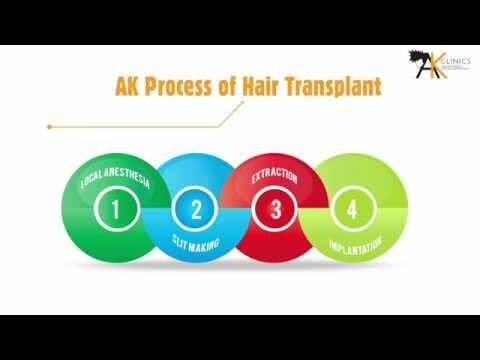 Bio FUE is a trademarked procedure of FUE hair transplant developed by our own team of doctors at AK Clinics. It is a long term customized plan of hair restoration for our patients. It takes into account the fact that hair loss is a progressive condition & different patients have different hair characteristics or different patterns of hair loss. In Bio FUE technique, the hair follicles or grafts are extracted by our special technique along with administration of growth factors into the scalp, making hair stronger, longer and healthier. There are 5 steps of Bio FUE and we shall now discuss the same. Local Anesthesia is used to block the sensations of pain in the scalp or other body part which is going to be operated during hair transplantation. It can be administered either by applying topical anesthesia or by injecting into the skin directly.Routinely at other clinics, the area to be operated upon is made numb by injecting local anesthesia into the scalp and there is pain at the time of administration. But at AK clinics, it is virtually pain free as we follow a special procedure to curb the pain sensation. Extraction is the process of removal of grafts from the back side of scalp. Routinely, the grafts are extracted using sharp punches. These punches go deeper into the soft tissues making the unit loose and finally removed. The transection rates in most cases are not recorded & are in the range of 30% or more. Further these clinics target very high number of grafts by going out permanent zone and as a result these hair do not last long and fall off soon. At AK clinics, our surgeons extract strictly from safe donor with our special FLAT punches. 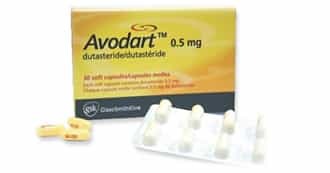 Safe donor area or permanent zone is a horse shoe shaped area on the backside of the head which is not affected by DHT hormone. FLAT punch is a special punch developed by our doctors which has a flat surface and minimizes wastage during extraction. The extraction process starts with selection of the flat punch which is generally 1mm less than the average length of the grafts. The donor area does not thin out & almost remains the same as before the surgery. This highly precise procedure ensures that you get the best quality grafts for implantation & the wastage limited to 2-3% only in most of the surgeries. Implantation is the process of putting back of extracted grafts back into the scalp. Routinely, grafts are extracted and they are implanted into the slit of the bald area by other clinics and grafts are stored in storage solution while the extraction is being done. Then they are implanted by keeping them on a gauze piece on hand end holding it at the level of hair of hair root at the time of implantation. In this technique, the former leads to dehydration and the latter trauma of grafts which leads to a poor yield. But at AK clinics, we implant them immediately after extraction, thereby decreasing the outside body time of grafts as mentioned above, We follow the FIRST OUT, FIRST IN principle i.e. we implant those grafts first which were taken out earlier thereby for this decreasing the outside body time of grafts. One person keeps on pouring saline at the time of implantation thereby preventing dehydration of grafts. And the implantation is done by Double forceps technique in which we hold the grafts from the top of the hair shaft and not hair root. Bio therapy is the unique procedure of doing PRP (Platelet Rich Therapy) at AK Clinics. 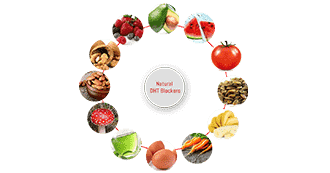 The therapy is based on the concept that human germinative cells have got the ability to stimulate various important structures in embryonic life. At AK Clinics, we do everything “In House”. We draw around 40 cc of blood. We then process it in a specialized refrigerated centrifuge. The plasma is activated to release growth factors. This Platelet Rich Plasma is then injected into the superficial part of the scalp. The growth factors stimulate the stem cells and help to prolong the growth phase of the existing hair on the scalp. Step-1: Blood is drawn from the body and transferred into the centrifuge tubes. Step-2: Blood is then spun carefully in a centrifuge which will separate the blood components. Step-3: The platelets rich plasma is then injected into the scalp or bald area. Step-4: This platelet rich plasma will act like growth serum and help to promote the hair growth.